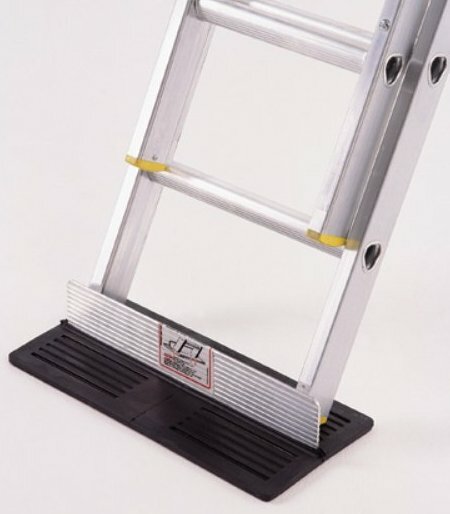 Currently viewing the tag: "Ladders"
Do you trust your ladder’s feet not to slip — especially on slick surfaces like sealed concrete? 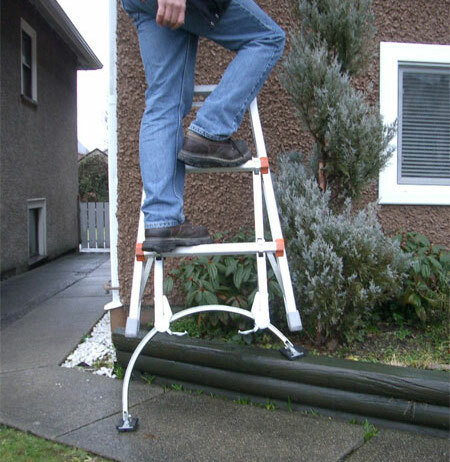 To make using ladders in these situations safer, Rojak Design manufactures their ladder Stopper to provide a much larger non-slip footprint than the tiny rubber tread on the ladder’s feet. To make the Stopper, they bond an either a 18″, 24″, 30″, or 36″ T-section of aluminum to vulcanized rubber. 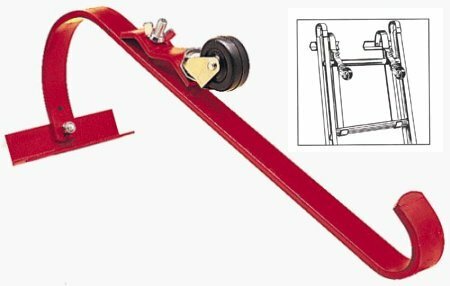 The large base increases the gripping power and the upright section braces both of the ladder’s feet from sliding. 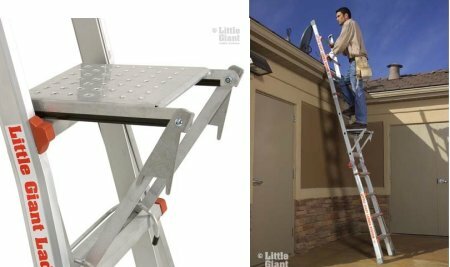 Little Giant’s work platform can be used with any of their ladders. 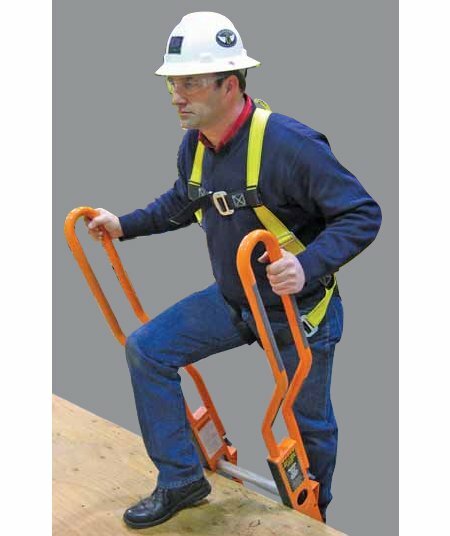 It fits over any rung and folds out of the way while you’re climbing up and down the ladder. When you do need it, you can just move it into position with with your foot. Made from aluminum, the platform will support up to 300 lbs. It runs about $40.